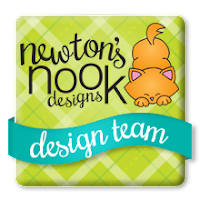 Newton's Nook Designs: Still time to apply to be on our next Design Team! Still time to apply to be on our next Design Team! Do you love to get your paws inky? Do you have love to color? Do you blog about your creations? If you answered yes to these -- Then keep reading…Newton's Nook Designs is looking for new Design Team members for 2014! Create one project & blog post for each new stamp set during release week + minimum of one additional project & post per release. We are currently planning on a new release each month. Our release week is mid-month (around the 15th) and each release will be 2 to 4 designs. Promote us! Help spread the word and give us some love on any social networks that you participate in. To apply, email us the following by Tuesday, November 26th, 2013. Short bio about you - Anything additional you'd like to share that makes you a good fit for us! Guest Designers also needed:If you don't have time in your schedule to do a full design team but LOVE Newton, we are also looking for bloggers to do "guest designer" spots each month. Requirements are the same as above but are only a one month commitment! If that would suit you better please apply and and put "guest application" in your subject line! OMG! I didn't know you were having a DT Call! I just LOVE your stamps; they are THE cutest EVER! I will DEFINITELY be sending my bio info! Oh THUD!!! You just were mentioned on splitcoaststampers, and a bunch of us are signing up!!!!!!!!!!!!! I'm in LOVE with your stamp images....egads...I'm in deep trouble lol.